Brilliant. Necessary companion to TV series. I started the first episode of the Hulu Tv series and knew I couldn’t finish it without reading the book first. 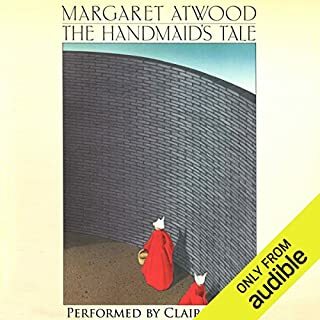 The writing is brilliant—and more importantly, the voice of the narrator (Offred) is incredibly distinct, and really should be heard in its original form and at every turn of of the tale. 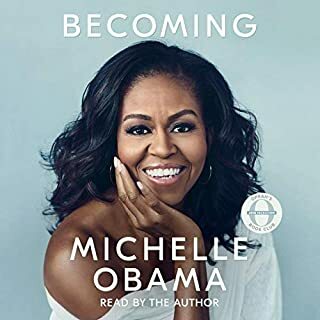 Her voice is complex—critical and yet complicit, longing for the past and a different future and yet devoid of a sense of agency, willing to be complicit enough to survive, and yet alive enough mentally to never stop questioning and considering alternatives and how to take opportunities for action. Claire Danes is excellent. And the historical notes should be required reading/listening for our times. An important story of an American life that is filled with incredible and amazing detail. This memoir is rich in personal and cultural history, and the significance of embracing education, curiosity and love—for oneself, one’s family, community and culture. Beautifully written and read. An engaging read for anyone from middle-school aged to adult. Wow - What a great guide to help understand the complicated and often confusing path that young girls and women take towards maturity. A great read. Fantastic and relatable examples. 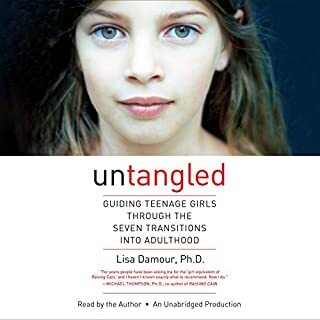 And the author, Lisa Damour, Ph.D., does an excellent job of putting all of her research and clinical study into a user friendly package that makes me feel more prepared to deal with all of the issues that inevitably will arise with the pending teen years. This book is gorgeous and epic. It speaks to everything in life that we may experience or be exposed to or influenced by that often have no words. I loved the author's way of depicting the worlds of each and every one of the main characters - their families, their inner thoughts, their hopes and dreams and ambitions as individuals, and the role of friendship - pure and simple - in all of their journeys. 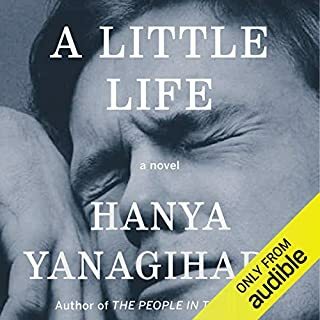 If there were one writer alive that I would want to meet now, it would be Hanya Yanagihara. For this book is a treasure that has led me to look at every soul that I encounter on a subway or in a restaurant differently. And now I look at my own life and choices and experiences - no matter what they are - through a broader, and more empathetic and accepting lens. 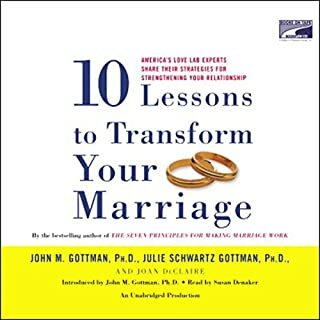 I plan to listen to this book once a month - Great tips and tools not only for transforming a marriage, but for any relationship - from roommate to sister to friend to parent or co-worker. I loved every chapter, appreciate the way the authors used case studies to give concrete examples of the kinds of issues that come up in relationships and how to resolve them, and found incredible takeaway that I can apply in my personal life. The quizzes at the ends of the chapters are also extremely useful.